Finding the right SEO company to work with can be tough. There’s a never-ending stream of companies that make big promises, say the right things, but ultimately deliver disappointing results to their clients. There are more than 13,000 advertising agencies in the United States. Finding the right one for your business will take time and due diligence. Many of RiseFuel’s clients that come to us, come to us having had a less-than-ideal experience with one of our competitor’s and we spend a great deal of time helping them to see the big picture when it comes to SEO success. A big part of our initial engagement is setting expectations and undoing the false expectations that previous agencies have given out clients. To avoid this kind of experience, there are a few steps that I recommend that every company take as they evaluate SEO companies. Following this simple process will help to ensure that you steer clear of the companies that over promise and under deliver and find the right partner to grow your digital presence. You can learn a lot simply by speaking with someone. Instead of going into your initial interactions with a company and getting straight to the pitch and the service, start by getting a feel for their company through genuine conversations. Ask them about previous companies that they have work with. See what questions they ask about your own business. You’ll find that an SEO company in North Carolina that is worth your investment will spend a lot of time actively learning about your business. To promote and market you effectively, they have to understand your business. Far too often you’ll find that companies that aren’t truly able to deliver try to skip over all of the important “getting to know each other” aspects of entering into a new partnership and instead dive right into making promises and explaining their services. Well, let me tell you, you can’t make promises or design a service until you really know who you are designing it for. A genuine conversation can weed out companies that don’t understand this. While we’re on the subject of understanding your business — it helps to go into a new engagement with an SEO company that already has some verifiable knowledge of your industry. Maybe they’ve worked with similar companies. Maybe they go as far as to specialize in your industry. The more experience that a company has within your industry, the more opportunities they can bring to the table. Having contacts within a given industry is extremely important for securing cross-promotional opportunities, backlinks, mentions, and other beneficial aspects of your SEO presence within North Carolina. While experience within your industry is certainly not a necessity for success, it does increase the chances of success. Find companies that are able to present previous experiences within your industry. Just because an SEO company in North Carolina says that they can deliver something doesn’t mean that you should believe it at face value. Always ask them to show proof of the results that they have delivered to previous clients. As in line with the previous section — if they can prove results within your industry, all the better. Looking at the results that an SEO company has been able to deliver for their own business is a great way to evaluate what they can do for you. If they aren’t able to rank for competitive terms in their local area, what makes you think that they would be able to do the same for you? In any new SEO engagement, there is always bad news to deliver. Maybe results will take longer to come to fruition than you were hoping for. Maybe your website is going to need a complete re-design to be competitive within your local industry. Maybe your industry is incredibly competitive and you’ll need to temper your expectations a bit. The point here is that you need to work with an SEO company that is going to be honest with you. An SEO agency that sugar coats everything is never going to be a good partner because there are always ups and downs with SEO. Your rankings will jump and fall with regularity. You might experience the SEO sandbox effect, or some other temporary slow-down in your ranking gains. In the end, you want to work with an SEO company in North Carolina that is going to be honest with you and tell you how things really are — not just the things that you want to hear. It’s also important that any company that you work with understands that there is more to SEO than your website’s rankings in the search engine. 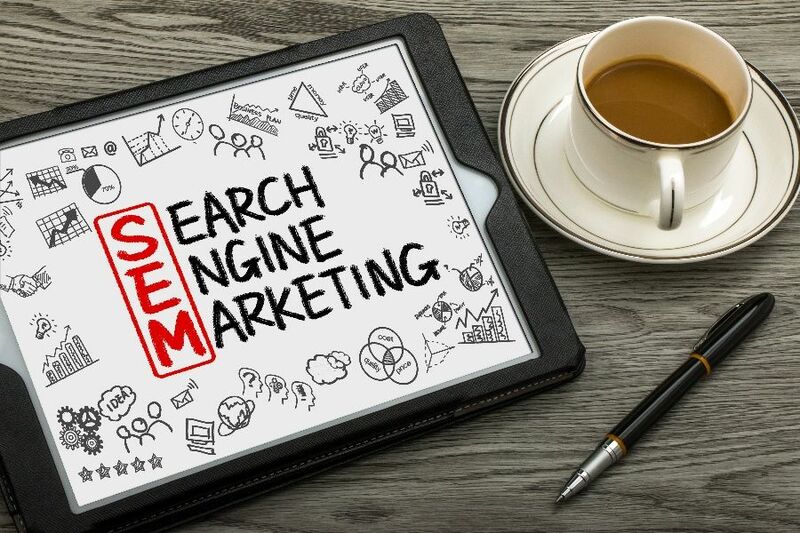 Other aspects of a dominant search presence such as your presence in business directories, social media presence, sales processes, content creation practices, and mentions on popular industry publications are just as important to your overall standing as any individual ranking for a given keyword. In the long-term, rankings come with authority. The goal of any SEO company has to be to not only deliver results but to build your authority in presence in a broad way, or else those results will be short-lived. Here at RiseFuel, I spend a lot of my time helping the leads that come to me to make the best decision for their business. Sometimes the best decision is for them to work with us with an ongoing plan. Sometimes there are steps that we believe a company needs to take before they are ready to work with a digital marketing agency. Sometimes we just aren’t the best fit for their needs and recommend one of our competitors that would be a better fit for them. The main point here is that we believe strongly in providing a straightforward and transparent service to our clients. We’ll always be upfront about the results that you can expect, the estimated time frame that you can expect them within, and what steps will be taken to get us where we want to go!